All come with Ultra Swivel! 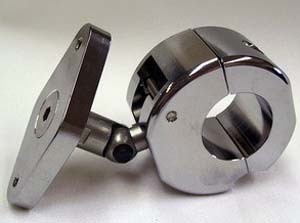 The cornerstone of the Diamond Mounts is the Ultra-Swivel. It provides unlimited positioning ability in three ways. And the Ultra-Swivel is so sleek and slim, you'll hardly know it's there. The 2-hole diamond shape on the Diamond Mount is the perfect fit to the shape on the back of the various gadgets, giving it a clean, classic look that is unmatched. 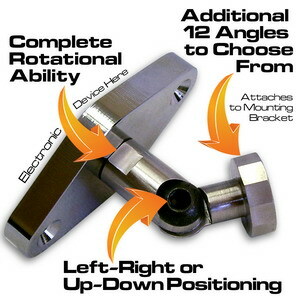 LD-EDM-HD: This kit easily mounts to all Harley-Davidson handlebar controls (screw spacing 1.5"). FITS BOTH LEFT- AND RIGHT-SIDE CONTROLS! Accommodates anything with the diamond-shaped "RAM Mount" pattern. Chrome plated or black anodized. 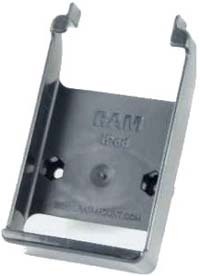 eCaddy Diamond holding plate: multi-faceted lug offers SIX different angles. 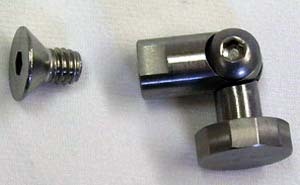 Includes two application screws. Beautiful complement to the "RAM Mount" diamond pattern. 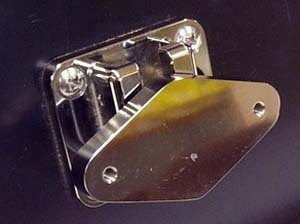 Mounting bracket with UltraSecure: slender allen screw that installs cross-wise after sliding the plate in means you'll never lose your electronics! 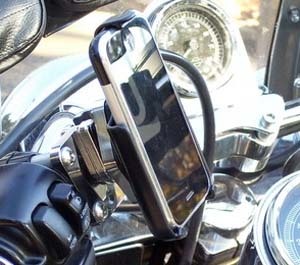 USE WITH: This kit will fit ANY "RAM Mount" cradle with the 2-hole diamond-shaped pattern, including Garmin, TomTom, Magellan, iPhone and iPod. If you do not already have a RAM cradle for your item, be sure go to check above to purchase! 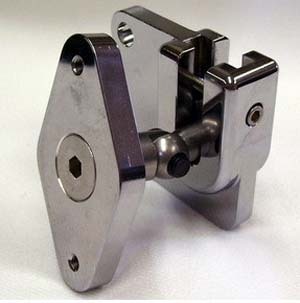 LD-EDM-HB: This kit easily mounts to motorcycle handlebars, engine guard bars, or any other bar with a 1" or 1.25" diameter. Accommodates anything with the diamond-shaped "RAM Mount" pattern. Chrome plated or black anodized. 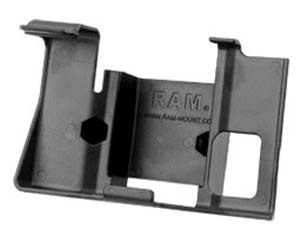 USE WITH: This kit will fit ANY "RAM Mount" cradle with the 2-hole diamond-shaped pattern, including Garmin, TomTom, Magellan, iPhone and iPod. If you do not already have a RAM cradle for your item, be cure to check above to add one! 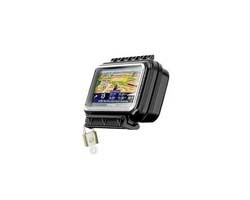 Available Cradles: We offer cradles for popular Garmin Nuvi GPS units: Nuvi 200, 200W, 300, 600, 700, 800, Magellan 3200, 4200, Tom Tom One, XL, 720/920. IPhone 4, iPhone 3G/3GS, iPhone Original, iPod Classic, iPod Nano (gen 1,2,4), Nano 3rd Gen, Touch (Gen 2,3), Touch Original. WC-ARH: If protecting your phone, GPS or other device from rain is important to you, you're in the right place. With the WC-ARH, you'll never have to worry about it getting wet! 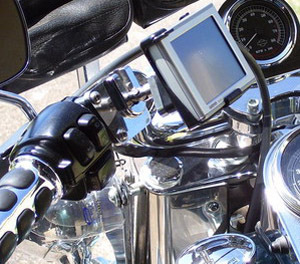 It's a safe and secure way to see directions or other important information while you ride. The waterproof case has a heavy-duty zipper edge and a rubberized "port" that closes back in on itself when you run wires in/out. Inside the case are 2-3 foam pads to use as needed for your device. The back features a ball design that provides nearly unlimited angle-ability and makes it super-easy to adjust (even on the fly). Internal Size: 6" x 3.5" x 1" (wire opening is on the 3.5" aka "bottom" side). This item includes waterproof case, adaptor and ball stem. DOES NOT INCLUDE MOUNTING BRACKET. 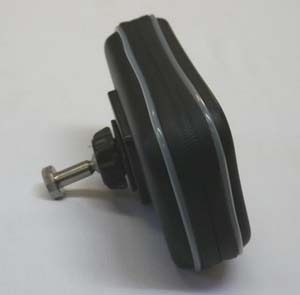 Use with: GPS (Garmin, Magellan, Tom Tom, etc. ), Satellite radio (Delphi, Sirius, XM, etc. ), Cell phones (iPhone, Smart phones, etc. ), iPod or other MP3 players, CBs (Motorola, Midland, etc. ), Palm pilot, Blackberry and other PDAs, Pagers, Cameras/Camcorders. Available in three sizes (internal dimensions). Be sure to measure your intended item! SMALL: Width=2.38" / Height=4.63" / Depth=1.3"
MEDIUM: Width=2.88" / Height=5.75" / Depth=1.188"
LARGE: Width=4" / Height=6" / Depth=1.75"
SWI-1: The NEW Ultra-Swivel gives you unlimited positioning ability in not one but three ways. For use with Diamond Mounts or other. Includes hardware. Ultra Swivel...now part of all kits! LD-EDM-HD Show with Ultra Swivel...now on all units!